We are proud to Introduce Grant Park Place. Grant Park Place is a new live/work Green community in Grant Park just across the street from Zoo Atlanta. The property is on Cherokee Avenue between Augusta and Grant Park Place. Included in this mixed-use development are 5 Single Family Homes from the $600’s and 9 Attached Townhomes from the $300’s. All homes and townhomes will be EarthCraft House Certified. The third component will be retail with the potential for office space or residential units above. Please visit GrantParkPlace.com to see available lots and floorplans. 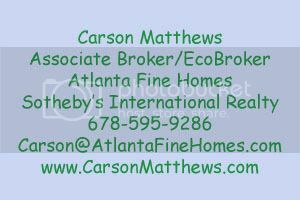 Please contact Carson Matthews for more information on pricing and floorplans. Also, visit the Grant Park Place Blog at www.GrantParkPlace.Wordpress.com to see construction updates and pictures from the site. Thanks for one’s marvelous posting at https://greentothescene.wordpress.com/grant-park-place! I seriously enjoyed reading it, you might be a great author.I will make sure to bookmark your blog and will eventually come back in the future. I want to encourage you to ultimately continue your great work, have a nice afternoon!